Important: DDSL6 Ultimate is 30% more powerful than the standard treasure long range locator DDSL6. Also in Peli suitcase (world leader) and with panel in gold color. The depth of work is 60-70 meters and the distance ahead – 6-7 km ! This is the highest technology for long-range location providing the ability to accurately locate the position of gold, silver, copper, bronze, lead, iron, diamonds, gold nuggets, and other metals and minerals. This apparatus is the leader in its class. 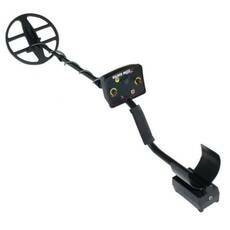 DDSL6 has been specifically developed to search for precious metals that are buried or lost long ago. DDSL6 provides the opportunity to search for treasures, gold nuggets and many more objects. The product is equipped with special quartz filtration system of frequencies and enables the search for gold and silver with different carat content, which is an advantage for treasure hunters. The apparatus emits stable quartz frequency of exactly 1Hz which provides for precision search. 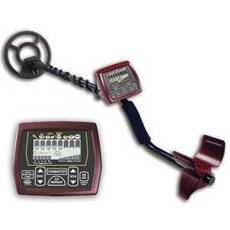 It is equipped with microprocessor control unit and software that enables control of the frequency. The operator can customize this precision device to search for a variety of metals, minerals, cavities, water by using various methods of programming, i.e. memorization of certain frequencies, frequency control during operation, or alternating use. The operator can confirm the signal of reflection that is generated by the transmitter by using specially-designed electronic dowsing rods. This digital quartz-stabilized system provides excellent results in heavy soils, no matter the ground conditions and degree of mineralization. Different operators can obtain different levels of sensitivity. Example: If an operator can locate with this apparatus 1 kg gold up to 3 km ahead, another operator can reach an object up to 2 km ahead. It is the same with the depth of work: if the first operator located 1 kg gold at 30 m depth, the second operator, having less experience, should have located the same amount of gold at 20 m depth. Due to the accurate operation and power of the product, it provides an opportunity for people without experience with long-range apparatuses to work with it. The kit contains instructions for use with pictures and explanations. DDSL6 has been tested in different parts of the world by different people, on various terrains, and due to its hardware and software equipment it has shown positive results. During a test in an area chosen at random, it found 50 kg gold at 60 m depth in a cave complex. There are hundreds of examples of smaller quantities of gold and silver found. 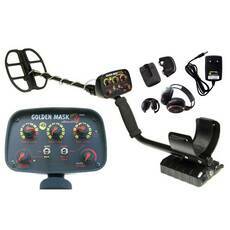 This product is a must-have for professionals and mining companies. – Detailed instructions for use.